The follow up anecdotes to his finding that book are hilarious and rather, um, explosive. As he says, “It was a different, less safety-conscious time.” Fortunately he survived his mischief and ultimately studied engineering, worked in electrical engineering/invention and later founded Delta Education, a science kit company, in his basement. Not to be outdone, my Mom founded a small company in our basement when I was growing up: a company entirely dedicated to book correlated with SCIS, ESS, and other science curricula. We’d get calls from educators all over the country and we’d pull books from the shelves. As I pulled, packed, and made catalog cards for each book, I occasionally read them. 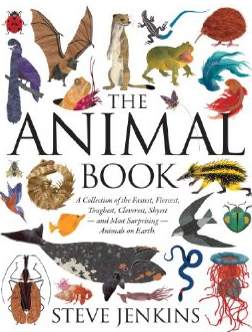 So I was reading picture books and middle grade nonfiction way into my tweens/teens. I knew the name Vicki Cobb, of course. (Science Experiments You Can Eat.) I loved the Let’s Read and Find Out series. (Someday I’d love to write one just so I could come full circle on that.) I knew Aliki’s books, such as Green Grass, White Milk. My favorite, though, was Water for Dinosaurs and You, by Roma Gans. 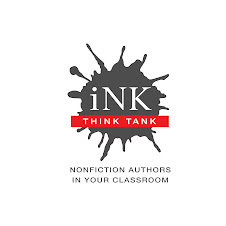 That book was one that showed me the big connections you can make, perhaps planting seeds for my big idea books such as Stars Beneath Your Bed: the Surprising Story of Dust. Last year, this generation’s Roger Tory Peterson, author Kenn Kaufman, asked my husband Jeff Sayre to coauthor a field guide to the nature of the midwest. (Kenn and his wife Kim Kaufman are writing a regional series for Houghton Mifflin.) Jeff is a native plant expert. So we've been traveling all over the Midwest studying and photographing plants, insects, and habitats for the guide. The experiences are spinning off into my own books. So, what more recent books could I recommend in the spirit of these books? 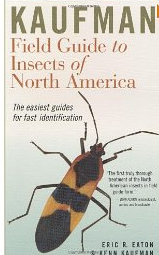 Kaufman Field Guide to Insects of North America. I love wide-ranging thought books, such as A Drink of Water by Barbara Kerley. Then there’s the recent Citizen Scientists by Loree Griffin Burns. Anything in the Scientists in the Field Series would be a great inspiration to kids. 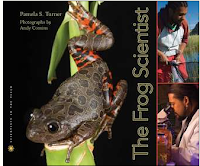 The Frog Scientist by Pamela S. Turner. Kakapo Rescue: Saving the World's Strangest Parrot by Sy Montgomery/Nic Bishop. Nic Bishop also writes some of his own book texts to go with his gorgeous photos. Like Steve Jenkins, he is a person with a dedicated interest in science. I’ll stop here. 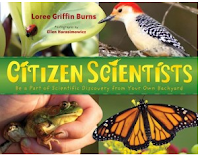 There are so many great scientific nonfiction books for kids published these days. It’s a feast. I can’t imagine where my mind would roam if I’d grown up with them. 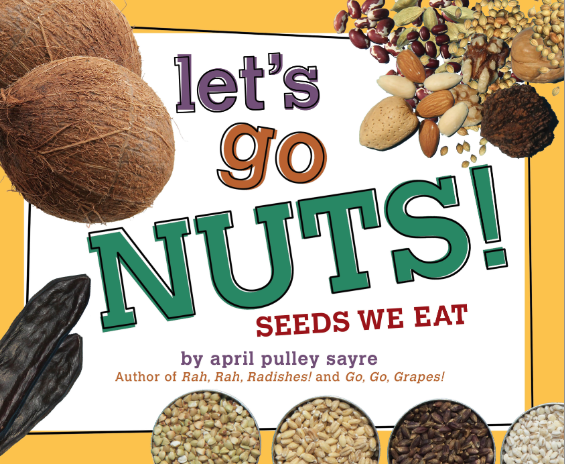 For the plant- and kitchen-inclined mind, perhaps one could throw in my just released book, Let’s Go Nuts! Seeds We Eat. 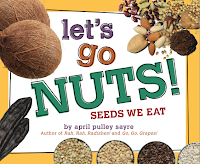 It'd be tasty for the youngest to think of beans, nuts, spices, and grains they eat as living seeds. 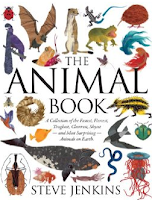 Celebrating diversity in plants, animals, and nonfiction books is so much fun. Thanks, INK community! Loved this post -- Now I just have to get out my library card and start inter-library loaning some of the books on the list! Glad you liked it, Alicia! And for those interested, I just looked up Green Grass, White Milk. In its revised form, still in print, it's titled: Milk From Cow to Carton. I have to admit it wasn't the book contents that hung in my memory. I dug that thought-provoking title! "My son Ibrahim (6 years Old) loves reading your books. And he read almost all of your books. He asked me one question that had ignited my thinking. Why do we take medicines, when our body battles against the Germs? Does that really help? or the medicine is like an obstacle in the natural body's process?" Keep us posted about that plant book, Loreen! Sounds fun. Vicki Cobb, you have more energy and curiosity than five regular human beings. I assumed you wrote those books when you were a toddler. Wow, what a great comment from that 6-year old! Susan, yeah, I had a lot of good input in my childhood. I was fortunate that folks nurtured my scientific inquiry and my writing bent. Thankful for that.